Make your home unique with one of our many other domestic species. Each floor has distinctive qualities to bring out an appearance that is just as unique as you. When you choose either Walnut, Birch, or Cherry, you are showing off an elegant floor that matches your style. 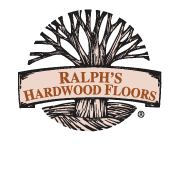 "To say that we are impressed with Ralph's would be grossly inadequate...it's like WOW...these people nailed it."